Jamaica is renowned for many wonderful things. Its beaches are a beautiful site to behold, the weather is wonderful all year round, and the music continues to be magnificently melodious (with styles ranging from Calypso, Reggae and Soca). The food is considered the finest, not just in the Caribbean, in the whole world. It’s no wonder, as Jamaica boasts some of the top chefs in the Caribbean. 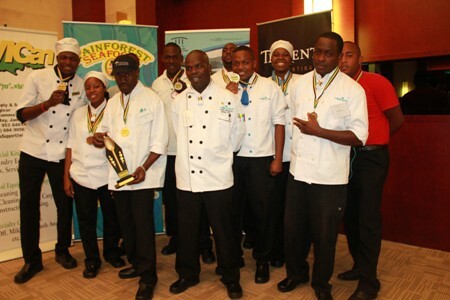 The 2013 staging of the Best Dressed Chicken Taste of Jamaica Culinary Competition was held in September over two days at the Montego Bay Convention Centre; where chefs from Jamaican hotels and cookery students participated in various categories. 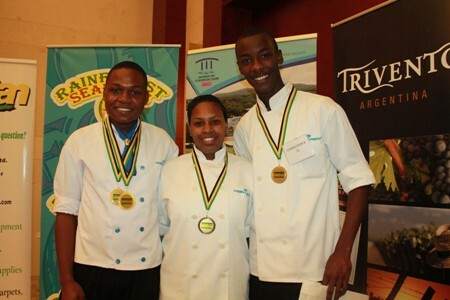 Couples Sans Souci and Couples Tower Isle took part in the culinary event, and after an incredible performance the previous year they proved that they have remained on top of their culinary competition game. 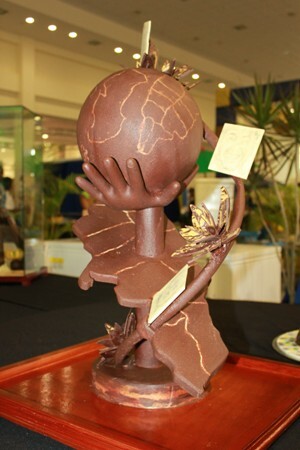 One of our previous posts already highlighted the talent and awards of pastry chef Teresa Clarke. Here’s what else went down and a few more well-deserved shout outs to our tip top chefs at Couples Resorts. Medals were received in all! Towards the end of the event, Couples Resorts took home 13 medals in Gold, Silver and Bronze; with gold medals received in the areas of Ice Carving, Cheese Cake and Pastry. For the team event teams had to work together to prepare and serve a three course meal, in which Couples Sans Souci took home the bronze. The team consisted of Servers Vivian Panton and Euron Clarke, Bartender Bryan Angus, Chefs Marlon Mills and Andre Sanchez, and Pastry Chefs Teresa Clarke and Shekera Cassie. Other members of the Couples Tower Isle team included: Cooks Kevon Edwards and Lenroy Deans, Pastry Chef Cordhlia Dixon, Waiter-Travis Lowe and Romaine Barrett and Bartender Pasanga Ricketts. 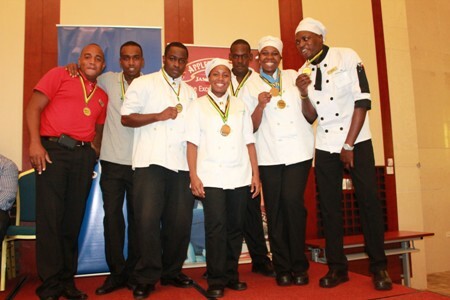 Linval Green, Regional Pastry Chef for both resorts, expressed his delight that both resorts successful in the competition, and also his pastry team were the recipients of ten of the 13 medals. He also noted that there are more great things to come in 2014.